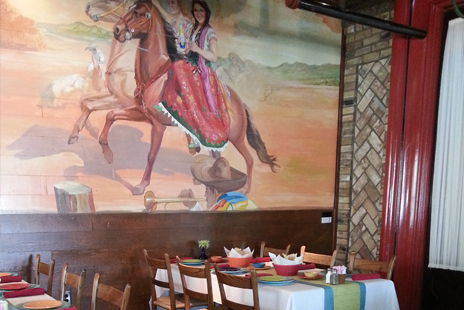 Taking its name from its large matador mural, our Matador Room is the perfect setting for your next legendary fiesta. A full-size window wall will wow your Guests with a breathtaking view of our lush garden. Rich velvet curtains can be drawn changing the lighting or mood of the room or to aid in audiovisual presentations. 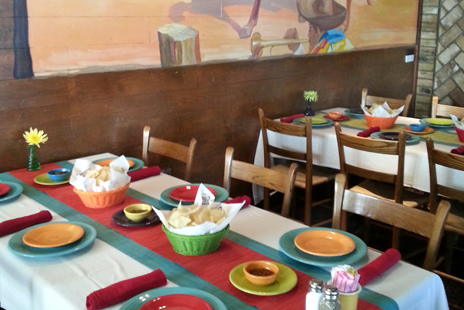 The Matador Room’s open floor plan allows the room to be divided for smaller intimate gatherings or quieter business meetings. 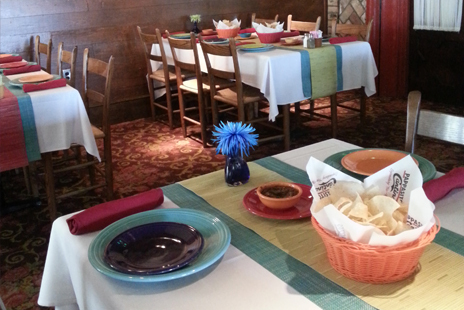 With personal waitstaff that can accommodate your every desire, our Matador Room is perfect for your next family or business gathering. 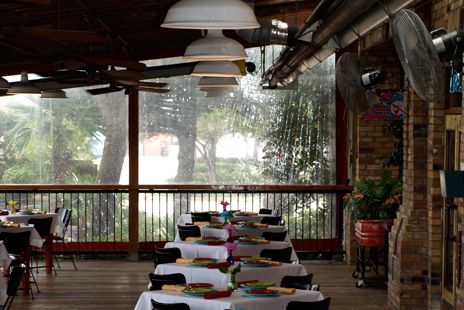 With a view of our fountain with quiet sounds of rippling water in the background, Patio Grande is the perfect setting for your next romantic rehearsal dinner or fabulous fiesta. In the middle of a lush, tropical garden, a solid wood banister encompasses the room filled with striking wooden floors. 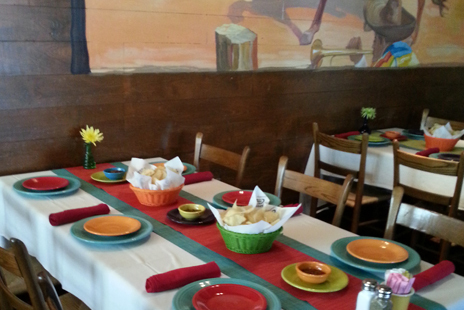 Fully covered from inclement weather, three open walls remain to let the cool breeze blow through. Fans, heaters and clear sidewalls are available to help create your desired temperature. 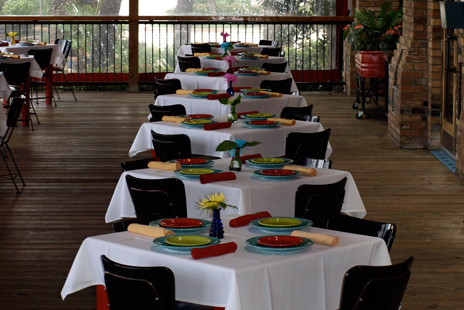 Patio Grande will make your next outdoor event memorable.